We are patiently waiting for the figs to ripen. I made green fig preserve for the first time 3 weeks ago and made 1,5kg worth of figs in syrup. They are really nice – for a first try – but the syrup is too runny. I’ll blog about that recipe next time. 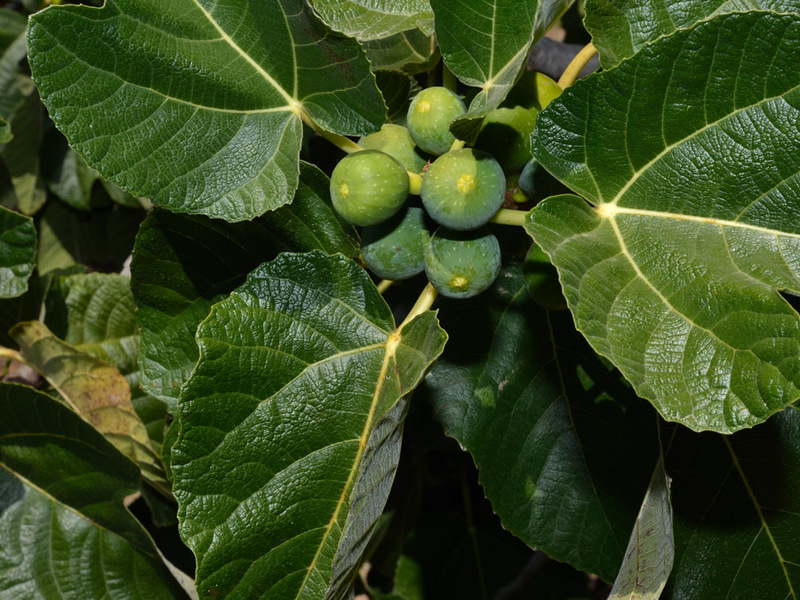 So now for ripe, fresh figs – yum yum! I also make a mean fig jam. The only problem is that the starlings attack and devour the ripe figs early each morning, making a huge racket outside our bedroom window. Scaring them doesn’t work anymore – they all know my tricks. I have one more up my sleeve! Let’s see if they are afraid of a hawk – haahaa!! I will use my feather duster !! I also have a quince tree, but I’m not a fan. My mom-in-law makes a mean jam, so I will giver her all my quinces!! They just take so long to ripen – hoohumm! 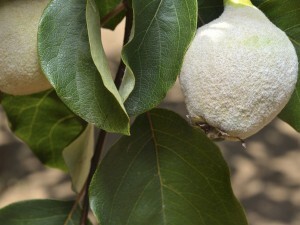 I also have a small guava tree, but they will only come out later – I think in winter. And Yes! The sad lemon tree! I will have to nurse her back to health! Oh dear! I nearly forgot about the new addition to my garden family!! My peach tree that you bought for me! I have put it close to the quince tree in the back garden. I am making sure it gets all its nutrients and I watch over it carefully for any nasties!! We had a few holes in the leaves, but this has stopped. She is settling in so very nicely! I’ll take a nice photo soon. I know – I felt the same. I inherited the fruit trees 6 years ago and I am so happy that I did not kill them off in the early days when I did not know what they were! The fig tree was a tiny twig. I nearly didn’t water this tree because it looked like a stick shoved into the ground. Hard to think it was so small. I’ll take a photo of it this weekend for you to see. Quite a beautiful tree. I will definitely make jam this year! You are very brave and smart to grow fruit trees. 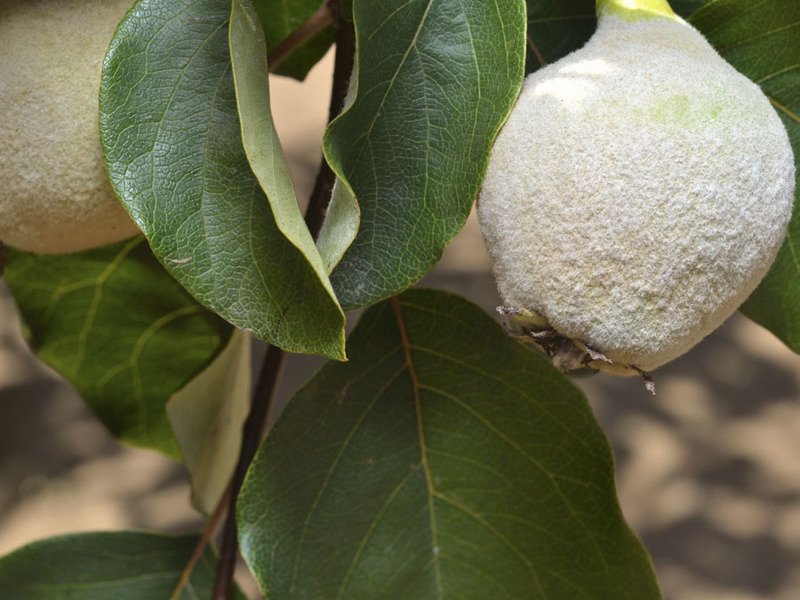 I am still so far from trying to care for fruit trees – I am doing everything I can to get what I have to thrive, considering the lavender with mildew and diseased lemon tree – so I am just not ready for fruit!